The selfie craze has sweeped pop culture across the globe over the past few years. Although the trend can be positive, there have also been world wide reports of selfie-taking leading to self-esteem problems, attention from online predators, distracted diving accidents, and even deaths. 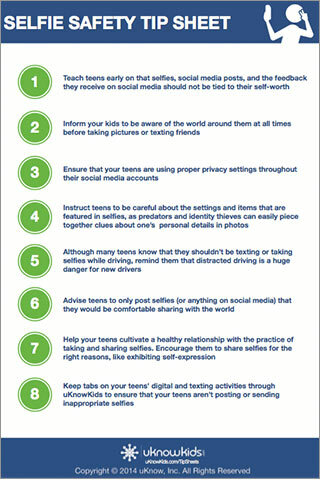 Dicover the top 8 ways that your teens can take and post selfies safely!